College students everywhere, get ready for fatter wallets at the end of the school term. 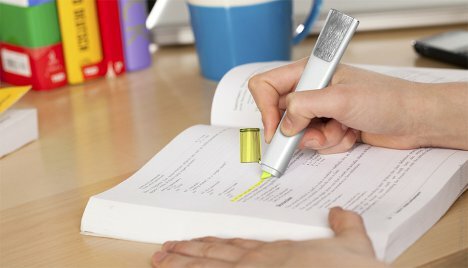 The Fader fading highlighter will help you get more for the resale of your textbooks by allowing you to highlight to your heart’s content…then after five months, the marks simply fade away. 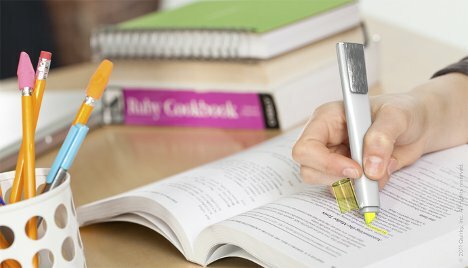 The highlighter works like any other, making bright marks in your textbooks that help you keep track of important concepts and passages. The big difference is that, instead of marking up your book permanently and drastically decreasing its resale value, the ink completely disappears by the time the term is over. Fader is currently in development with crowdsourcing manufacturer extraordinaire Quirky. 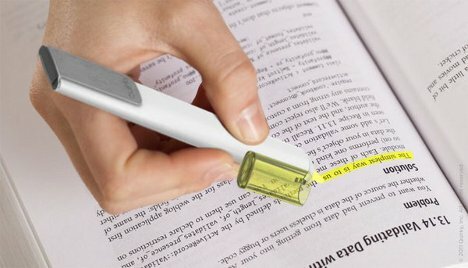 While there are similar products on the market already, they require some amount of erasing. Fader is unique for its ease of use and its ability to leave expensive textbooks as good as new.